Raiders of the Blood Serpent: I'm back! Yes I'm back after a long time dissapearing from the blogging world. 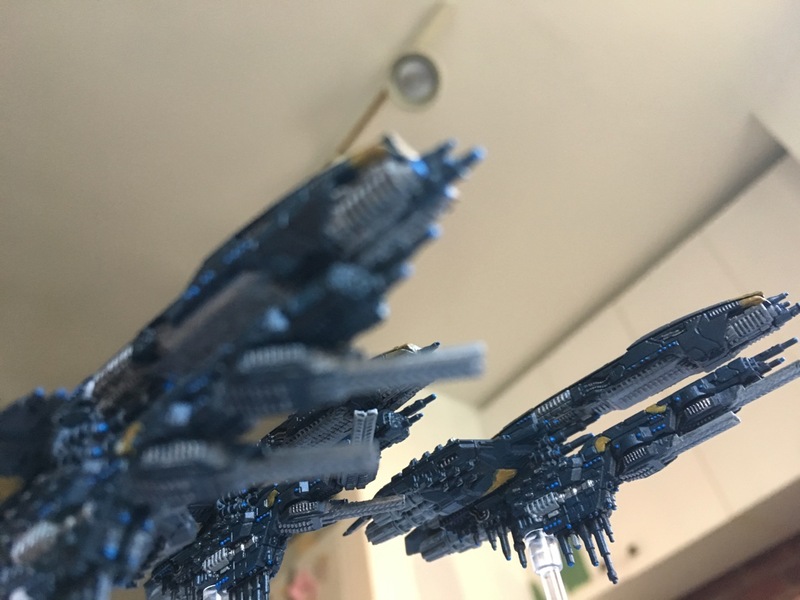 There has been much going on with real life issues and I've finally fine some time to go back to one of my hobby of miniature and painting, not to mention being busy on my other blogs. I was just going through some of my old inventory and I came across some of my really early miniatures, when I first painted when I started this hobby, my first squads of Guardians. I noticed that they were not that well done compared to my later models and took some time to add more highlights to them and proper basing, just to bring them to speed with the rest of my collection. It was fun and somewhat symbolic for me to complete them :). Over the years, many of you will agree with me that the model selections and the power level of some of GW release has increase significantly to encourage more powerful models to be added on the tabletop. As I was touching up my older models, few things were going on in my mind. Whatever happen to small, friendly games, with really basic models, bring those power play down a few notch and enjoy the game for the same of the game itself. Anyhow, you'll be seeing more from this blog in the near future as I will be turning my attention to the dark kin, yeah... I'm starting a Kabal soon! Anyhow, good to be back and stay tune!